Visit the library to sign up for a Hazel Mackin Community Library card. Free library cards are available to all Wisconsin residents. Anyone old enough to write their own name may apply for a library card. A parent’s signature is required for anyone under the age of 18. Every library card holder is responsible for returning all borrowed materials in good condition by the due dates shown on the account. Adults are responsible for their children’s check outs. Hazel Mackin Community Library is part of the MORE Library group. You may use your Hazel Mackin Community Library card to borrow materials from any of the 53 participating MORE libraries at www.more.lib.wi.us. You are welcome to visit any of these libraries in person, or search online anytime by using the search icon located at the top of this page or by clicking MORE LIBRARY SEARCH HERE.  You may request to have your library materials sent to Hazel Mackin Community Library to be picked up or choose the most convenient library location for your needs. The MORE library search page also has information on how to download digital materials such as digital magazines, audiobooks, and more, as well providing an abundance of research resources. Library materials available to borrow include: Fiction and non-fiction books for all ages, Large Print Books, Audio Books, DVD & Blu Ray movies & TV series, magazines, HOTSPOT wi-fi devices, book club kits, puzzles, video games, and more. Your library account can always be viewed and managed online anytime by logging in to MORE, (www.more.lib.wi.us) selecting “My Account”, and entering your name and library card number.  You are able to view all items checked out on your card, see due dates, item requests/holds and their status, and renew items. You may also pay fines online. Library Elf (www.libraryelf.com) can also help you manage multiple accounts in a household. Or call Hazel Mackin Community Library at 715-749-3849 with any account questions. Please contact the library if you have lost your card. A replacement card is $1.00 and will have a new account number. *All items (except those noted) may be renewed for another loan period if no one is waiting for the item. Renew online anytime at MORE or call the library at 715-749-3849. Fines can be paid anytime online with a credit card by accessing your account through MORE. Or, pay fines in person at the library using check or cash only. Credit or debit cards are not accepted. Library card account holders with fines totaling more than $10.00 will not be able to access library computers or check out more library materials until the account is brought below $10.00. A copier is available at the library for public use. Black & white copies are $.10/ea. Color copies are $.25/ea. The printer is self-service and will accept up to $5.00 bills and make change. Credit cards are not accepted. Faxing is available at the front desk. There is a $.50/per page fee for this service. Internet-access computer terminals are available for public use with a valid MORE library card. You may print from these computers in black & white for $.10/per page or $.25/per page for full color. The printer is self-service and will accept up to $5.00 bills and make change. Credit cards are not accepted. WiFi is available throughout Hazel Mackin Community Library. No password is needed. Wireless printing from your own digital device is not available. However, you can transfer your files onto your own USB portable thumb drive and then plug your USB drive into the printer. Black & white printouts available for $.10/per page or $.25/per page for full color. The printer is self-service and will accept up to $5.00 bills and make change. Credit cards are not accepted. Having internet access has become an urgent issue as schools assign more and more of their students with personal, mobile devices to access classroom materials and productivity tools, however, 20% of Wisconsin households do not have this access available in the home. For many children and adults, the public library is the only source of internet access outside of the school day where these devices can be used. The Internet Discount Finder, created by the Public Service Commission of Wisconsin (PSC), can help low-income households find discounted internet service. Discounts can be as deep as 80%. Moreover, it’s easy to use: click on this Internet Discount Finder link, and enter a full home address to see if there are any providers in the area and learn about what different programming is offered and how to qualify. Some providers base qualification for internet discounts on participation in programs like Supplemental Nutrition Assistance Program (SNAP), Federal Public Housing Assistance (FPHA) or Section 8, the National School Lunch Program (NSLP), and other means-tested programs. This message brought to you through the collaborations of Wisconsin Educational Media & Technology Association (WEMTA), Wisconsin Library Association (WLA), and DPI School and Public Libraries. Federal and Wisconsin tax forms are available from December through April 30th in the library lobby. The library does not have control over when these forms arrive and cannot offer any tax advice. Hazel Mackin Community Library offers a free and unique interactive online program for learning new languages at your own pace. Click Rocket Languages for more information. Or use the icon link on our home page. Hazel Mackin Community Library offers free and unique interactive online programs for learning new skills at your own pace via Lynda.com. Click LYNDA to log on with your library card. Or use the icon link on our home page. Hazel Mackin Community LIbrary offers several spaces for your non-profit groups to gather. Please contact the library at 715-749-3849 for more information.